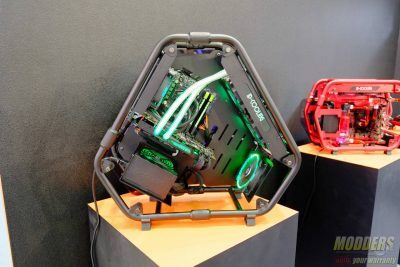 For those who love watercooling, ID-cooling has taken the hobby one-step further by integrating the loop into the actual chassis itself with their new Stream series. 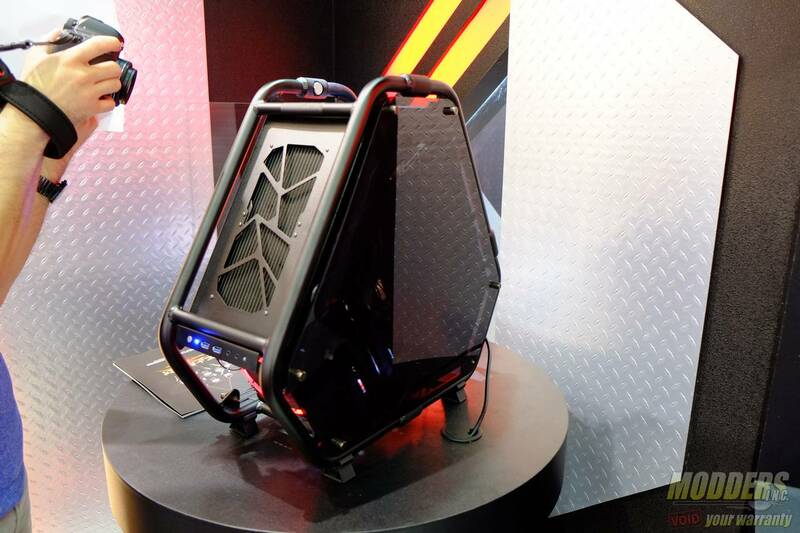 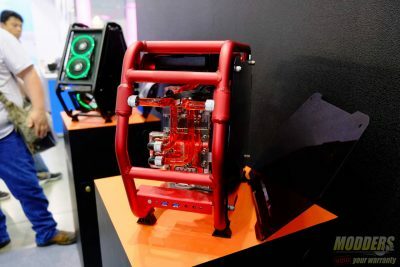 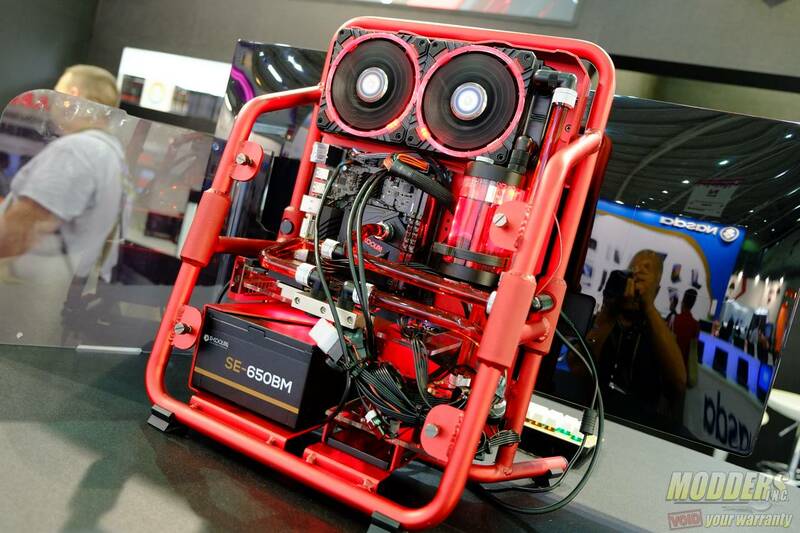 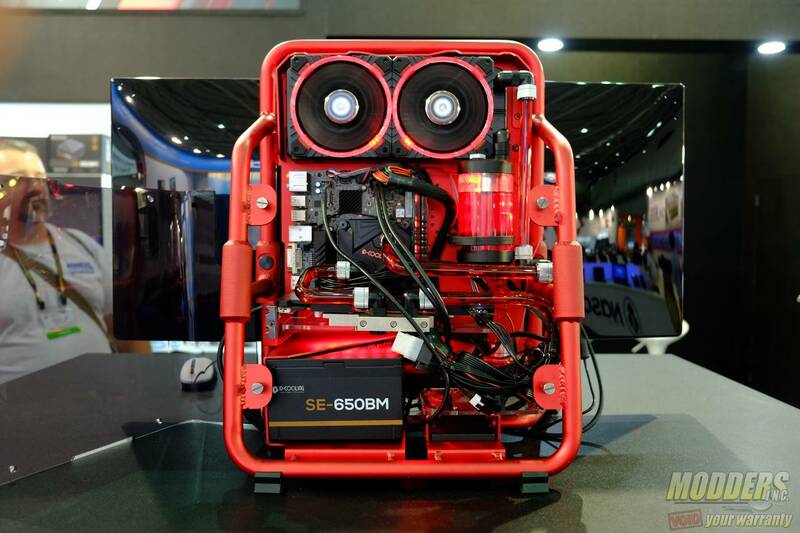 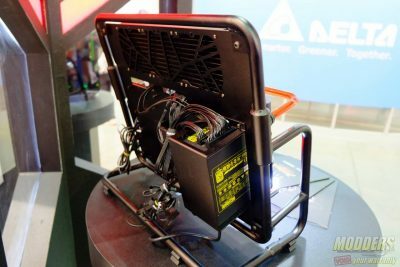 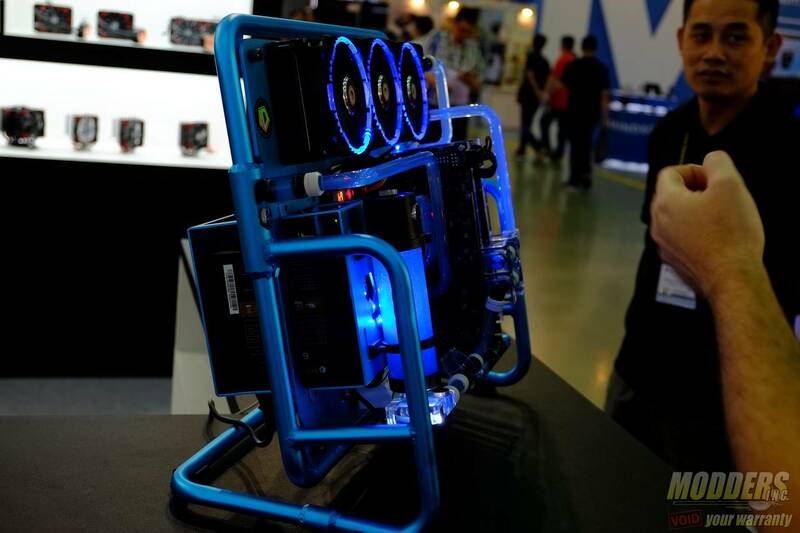 Displayed at Computex in their booth as well as iColorful’s, ID-Cooling’s Stream series features four different semi-open chassis styles in different colors with a G1/4 fitting opening on the frame (up to two separate loops on the frame). 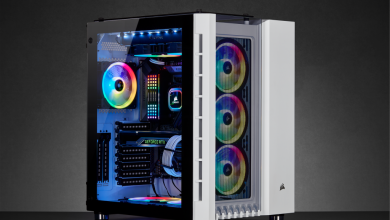 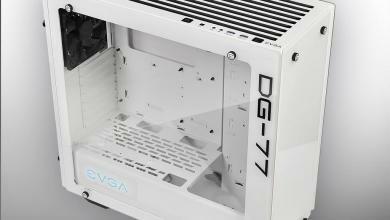 In addition to the aluminum tube frame, the side panels on the Stream use a smoked tempered glass for a very elegant look. 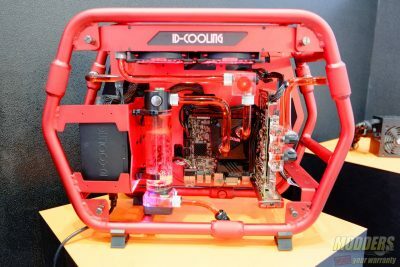 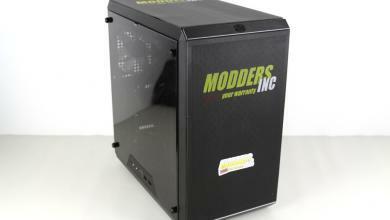 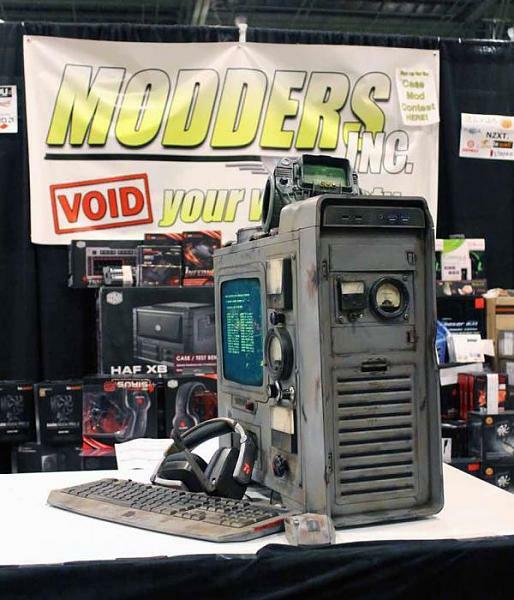 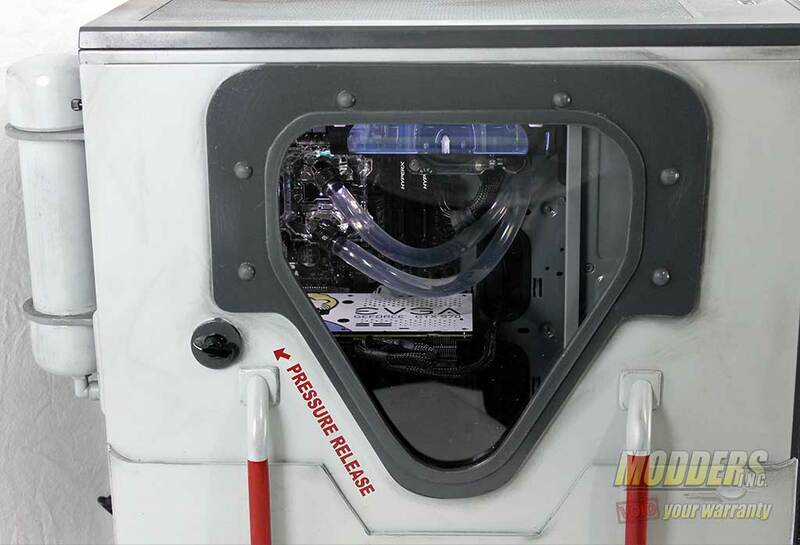 The best part about having a semi-open design is that it lends itself to customizability and ID-cooling certainly offers enough variety in the Stream series to appeal to modders. 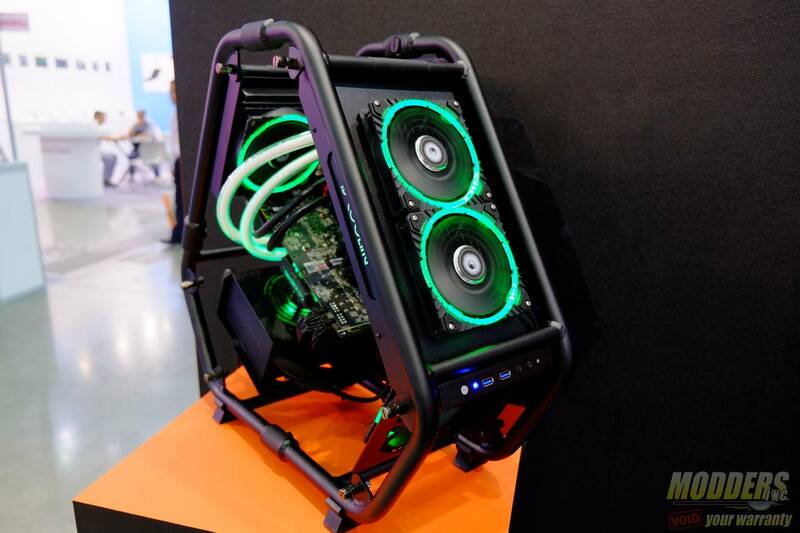 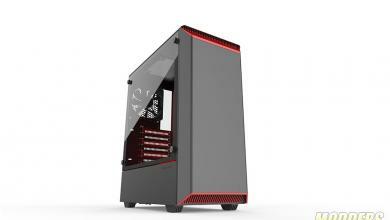 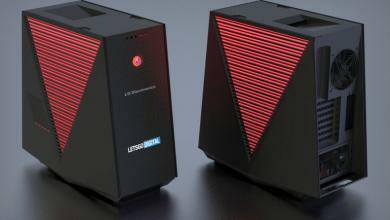 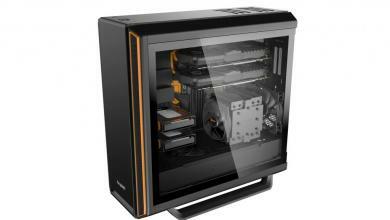 Stream One features an InWin mini-D-frame style design supporting ITX and Micro-ATX motherboards and ATX PSUs. Stream Two looks a lot like the Alienware Area-51 style layout while Stream Three and Stream Four are horizontal and vertical semi-angled wet-bench style cases. No final word on pricing yet.